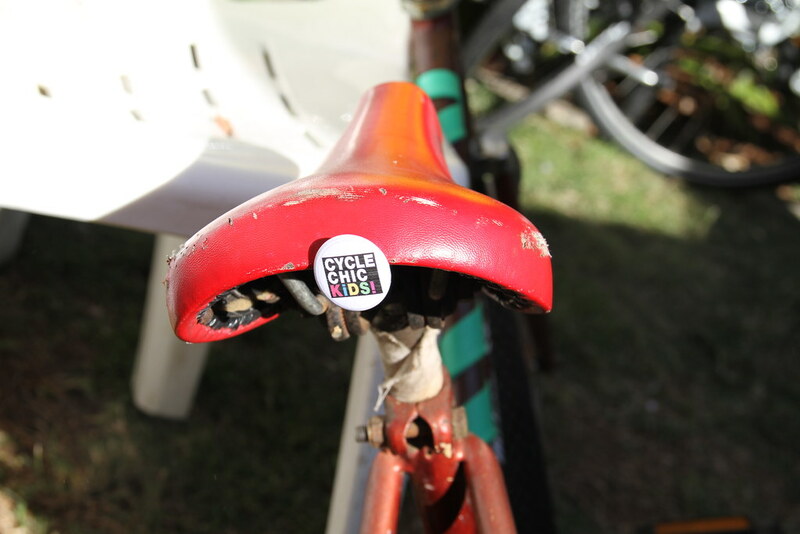 We're excited to be kicking off a series of bike-themed urban sustainability workshops and events this weekend at Sydney Sustainable Markets with the return of the much loved Cycle Chic Kids! Little kids (and big ones...) can drop by the stall at Taylor Square from 9am-1pm on Saturday 25 February to pimp up their bikes with our re-purposed, re-cycled crazy craft. Guaranteed to make your ride more colourful or your money back. No wait, it's free! These monthly events in partnership with Sydney Sustainable Markets are part of our Green Chic Project and we have big plans. Want to weave your own bike basket or make a bamboo crate to get your veggies home in? Fancy checking out some cargo bikes and seeing just how much shopping and kids they can hold? How about racing one - are you game? The Slow Bicycle Movement - how slow can you go? Finally want to learn how to fix up that old Schwinn you have in the garage? Surely one of the loveliest, friendliest local markets in Sydney we're very happy to have found a home so please stop by, have a coffee and say hello, we'd love to meet you. Event details will be posted on the facebook page or email us to be added to the mailing list. what the *#@* is cycle chic™? cycle chic bloggers conference - barcelona! Copenhagen - City of Cyclists from Copenhagenize on Vimeo. "The bicycle is the most effective tool in our toolboxes for achieving that new century goal of re-creating liveable cities." THIS ENTIRE SITE © 2010-2018 SASKIA HOWARD (SYDNEY CYCLE CHIC). ALL OF THE PHOTOGRAPHS HEREIN, UNLESS OTHERWISE NOTED, ARE COPYRIGHTED BY THE PHOTOGRAPHER. PLEASE EMAIL ME IF YOU'D LIKE TO LINK OR REPRODUCE ANYTHING. © 2010-2018 SASKIA HOWARD (SYDNEY CYCLE CHIC). Powered by Blogger.